Online backup provider OziBox stopped all their services. Look for the free alternatives on our site! UPDATE: 14 March 2018: OziBox stopped their services including the 10 GB service, completely. Their website is down. 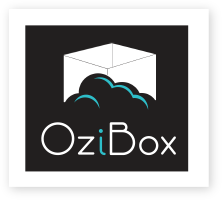 The original website of OziBox can be found on the Internet Archive: Wayback Machine. The information beneath is outdated and no longer valid anymore! OziBox offers 10 GB for free. The Client App is the application that syncs your Clouds with your PC. When you download the Client App to your PC automatically all the files of your Cloud will be synced with your PC. If you work on many different PC’s you can download the Client App multiple times and have access to your files from your home desktop, from your PC at work etc. That way you can have access to your files no matter where you are with the Client App.